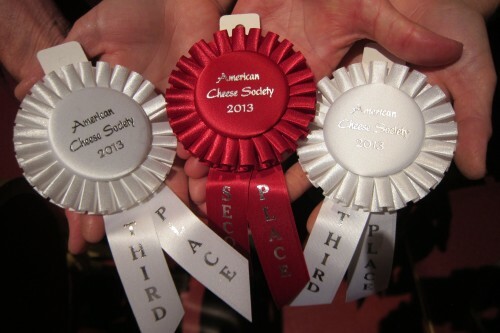 At the 2013 American Cheese Society competition, the largest North American cheese competition with a record 1794 entries this year, Maine cheese makers won five ribbons announced at their gala Awards Ceremony August 2 at the Monona Terrace Conference Center in Madison, WI. 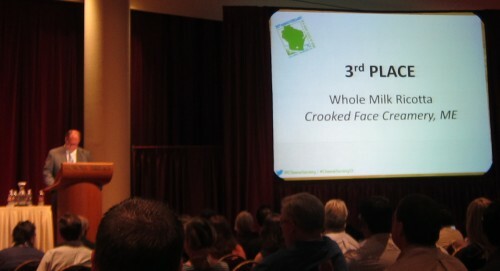 And finally, with great hope for the future of Maine cheese making, a first time submission from a new Maine cheese company called Crooked Face Creamery in Skowhegan, ME won a 3rd place ribbon in the Ricotta Made from Cows Milk category for their Ricotta. Posted in Guild, News and tagged ACS, Awards, quality.